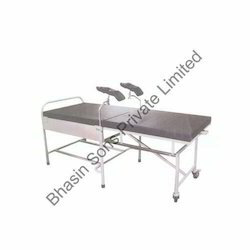 Leading Exporter of obstetric labour table telescopic, delivery bed telescopic, delivery bed 3 section, obstetric labour table mechanical, obstetric-labour table telescopic fixed height and manual delivery table from New Delhi. We are way forward in manufacturing and exporting an assortment of obstetric labor table telescopic (adjustable height) nova- 1210. We build our products with first-quality materials imported from the world's best suppliers to fulfill client needs. These products are used at laboratories for conducting several tests for patients without shifting them to the special wards. Our products are designed in such a way that the materials are good resistant to corrosive property. Sdjustable by pneumatic gas spring system. Our expert allows us to manufacture and export ofDelivery Bed Telescopicacross the world. We use 3-D modeling techniques and advanced machinery to manufacture these splendid product. These products provide high advantages for the doctors at the time of delivery. Our product is featured with a wheels attached under the bed along with telescopic arrangement. 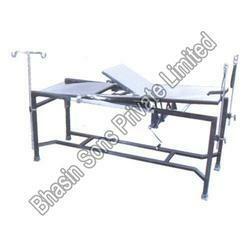 This product is constructed in such a way that the patient will not be disturbed at any case. Leg section swivel castors with brakes. 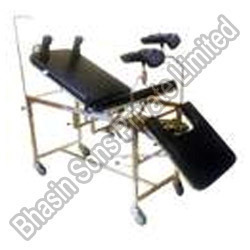 Bhasin Sons Private Limitedis one of the leading names in the field of manufacturing and exporting Delivery Bed 3 section, 2 parts. We observe the quality control process with extreme care to deliver flawless products to our clients spread all over the world. These products can be separated into several parts as per the user specifications. This product can be used at dental hospital and psycho treatments. Overall size 1800 x 550mm x 820mm (H). Made of Mild Steel square Tube. 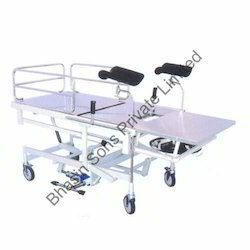 With the customer focused approach and rich industrial experience, we offer Obstetric Labor Table (Mechanical). The premium quality stainless steel materials used for manufacture of this product are good resistant to rusting and of long lasting durability. These tables are used at both intensive care and special accidental units. 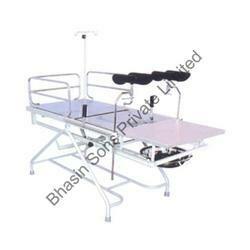 Our products are highly preferred for the patients, who cannot even walk. This table is available with several adjustment features. Approx. Dimensions: 72"L x 27"W x 30"H.
Stainless steel top in three sections. Height adjustable a pair of leg holders with straps. Complete with self locking traction handle at side, I.V. Rod & mattress. Trendlenburg positions adjustable by pneumatic gas spring system. Also available in complete Stainless Steel. By means of wide distribution association, we offer a wide range of Manual Delivery Table that has a huge adequacy throughout the world. 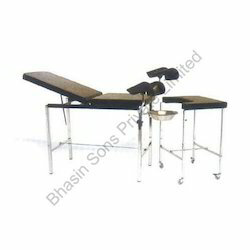 These tables used for delivery are manufactured in compliance with the specification of international quality standard. It finds its application many hospitals and clinics all over the world for providing excellent maternity treatment and process. This is widely reputed due to its esteemed reliability. Looking for Delivery Tables ?